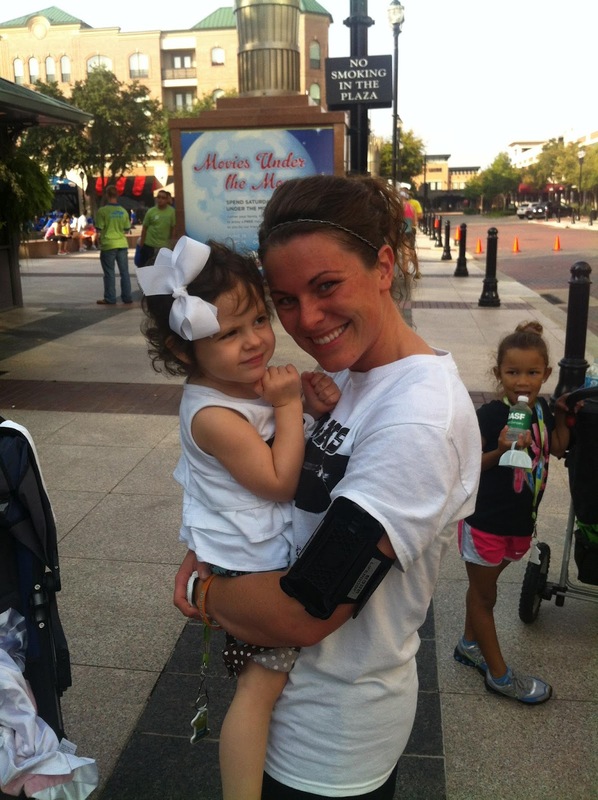 Blessings, Miracles, &Thoughts in Between: Running for a Cause! We all survived the 5K! Daddy did much better than momma and the beast double BOB. I mentioned it in my last post but, this past weekend was the Houston Be the ONE Run to promote the Be the Match national bone marrow registry! 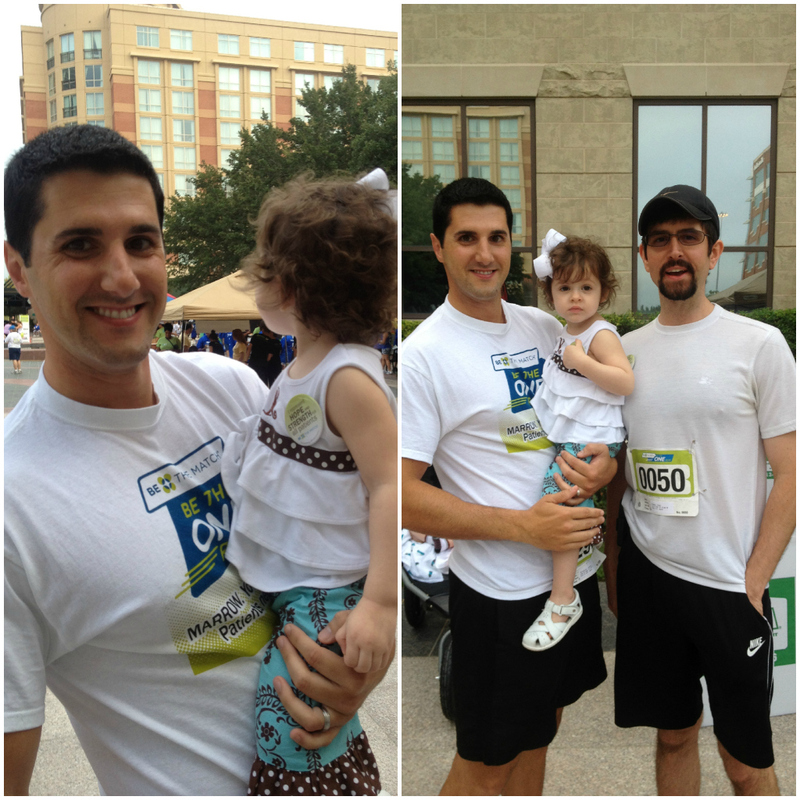 We had a blast supporting such an important cause! We kicked off our weekend Thursday morning at the KHOU station to promote the registry on Great Day Houston! Kate was so funny in the green room but the minute we started filming our segment (which was live) she clammed up and just sat there with the biggest stink face! She could give McKayla Maroney a run for her money! Cearly she was not impressed with being on TV. While I wish Kate would have shown her precious personality, I will not complain one bit about my very active two year old sitting perfectly still on the couch for an 8 minute segment! Running in memory of Tynan brought back all of the emotions of his passing. I am still so sad that our sweet cowboy has gone to be with the Lord. 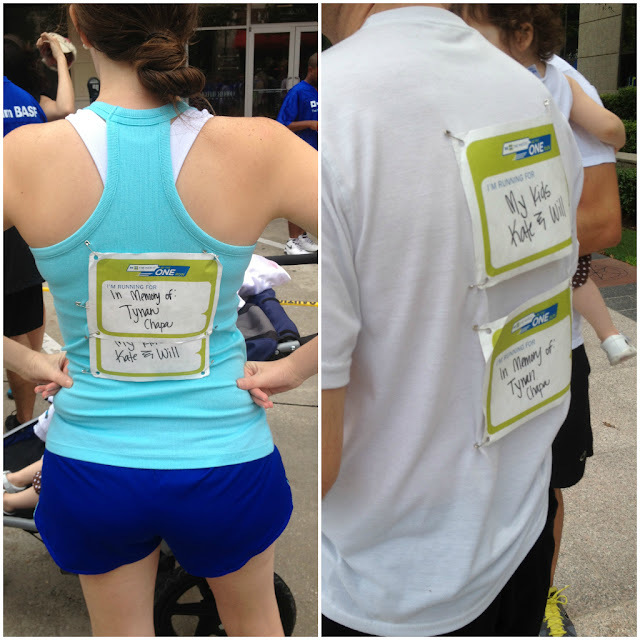 Of course we were also running in honor of Kate and Will but Tynan occupied my mind Saturday morning. Kate's survivor button says it best. There was a great mix of people at the race - survivors, family members of BMT patients, people honoring loved ones that have gone to be with the Lord. It was amazing to see so many people come together for a cause that is so dear to my heart. One thing that was extremely special to me was seeing the caregivers (nurses and doctors) there to show support for patients they have cared for. We have been so blessed with amazing doctors and nurses that truly love my children. Knowing that the individuals caring for Kate, and now Will, on a medical level actually love them and are fighting for them makes all the difference. Holly is a wonderful nurse who was at Texas Children's while Kate was inpatient and recovering at home. Kate adores Holly! Holly is now working at MD Anderson (still in BMT) and we miss her dearly! Kate always asks for Miss Holly and now knows that Holly has a new job! We loved visiting with her after the race! Be the Match is still taking donations! You can donate through our team site (link) or make a general donation to the nation registry! Either way, know that 100% of your donation goes toward growing the registry and supporingt patients dealing with transplant. If every person that follows this blog would donate just $5 we would raise $2,790! That is enough money to cover the costs of adding nearly 30 new potential donors to the registry! Also, please consider learning more about the process of joining the registry! You have the ability to SAVE LIVES! 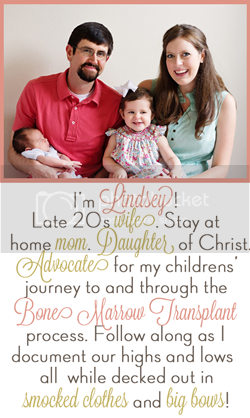 Be the change, get involved, be the match, and give someone a second chance! I love it AND you look amazing! 1. The tv segment made me cry. More than once. 2. Where is your Texas accent??? 3. Your legs are perfect! You were SO GREAT here! looking good...and spreading such a good message. And Kate did wonderfully...she just looked serious! Love Kate's button! What a special feeling that must've been to see the doctors and nurses out the supporting their patients out of work as well. you already know how awesome i think you are for all of this. your kids are going to spend their entire lives being proud of who their mother is. that's something major girl. Cookies & Milk with Kate! Happy 2nd Birthday!